Bay: Transformers 3 Getting Rid of "Dorky Comedy"
According to Michael Bay, Transformers 3 will be lacking the gags and comedy of its predecessor. Revenge of the Fallen may have made hundreds of millions of dollars, but there are some things in it that Michael Bay will not be using in the sequel. Topping the list is Revenge of the Fallen's sense of humor: "One thing we're getting rid of is what I call the dorky comedy," Bay said, speaking to USA Today. "[The Twins are] basically gone." Bay acknowledged that there were problems with Revenge of the Fallen, blaming the Writer's Guild Strike of 2007-2008. "I'll take some of the criticism," Bay said, referring to the scathing reviews the movie received. "It was very hard to put [the sequel] together that quickly after the writers' strike." Bay has also revealed a few snippets of the movie's plot. 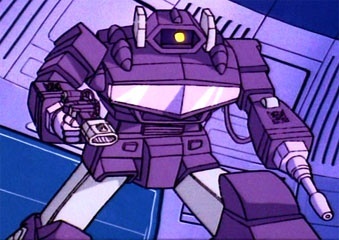 Shockwave, the one-eyed, one-handed, Cybertronian dictator from the 80s cartoons, is the villain, and the movie focuses on the secret Transformer involvement in the space race between the USA and USSR. "The movie is more of a mystery," Bay said. "It ties in what we know as history growing up as kids with what really happened." Shia LeBeouf returns as Sam Witwicky and Rosie Huntington-Whiteley plays his as yet unnamed new love interest. Transformers 3 is scheduled for release July 1st, 2011.